While there isn’t a single startup or enterprise that goes without a mobile app, small businesses are uninterested in them. They fail to see the value of investing in an app and are, further, taken aback by long-term commitment that mobile apps come with. While startups have to gratify their customers with short attention span, enterprises are after mobility solutions to connect with their employees or to sell their products and services to customers. On the flipside, small businesses don’t see much of those benefits coming. The small Chinese eatery across the street doesn’t have much room to grow with a food delivery app. Overzealous startups with millions of dollars in funding, a strong app ecosystem, hundreds of restaurant partners, delivery persons and millions of customers dominate the food delivery space. Restaurants rather enroll as restaurant partners in one of the startup’s app platform then spend thousands of dollar in mobile app development. Retailers and grocers in your area share similar problems because of budding hyperlocal delivery startups. The situation is not very different for real estate, healthcare, and law partnerships with multiple startups playing in those areas too. 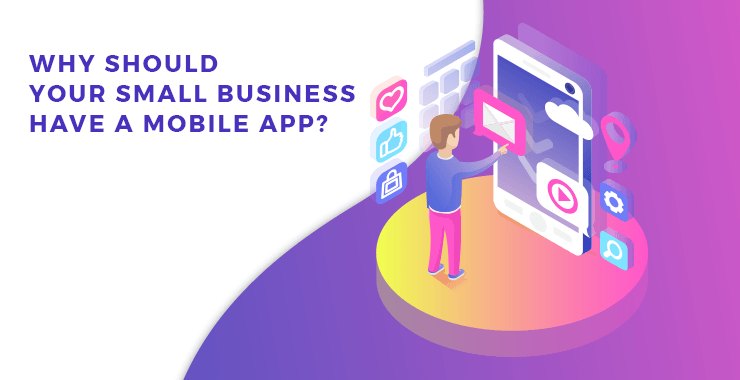 So coming back to the question, “is it worth investing in a mobile app as a small business?” The answer is more complicated than a simple Yes or No. Of course, it is a sheer display of stupidity if you’re trying to compete with an established startup operating in your area. However, if you have a unique approach towards what you want to deliver your customers by means of an app, well, then you’re on the right track. If you’re a small restaurant, sticking with a food delivery startup is your best bet. Nevertheless, that’s about your secondary customers. What about the people who dine at your restaurant? Those are your primary customers. I guess all of them carry a smartphone with them. You can upgrade their dining experience with a BLE beacon application. Beacons have made their way into many retail outlets, restaurants, departmental stores and other small businesses. BLE Beacons are short-ranged BLE devices, which work in unison with other beacons devices in a network, giving birth to proximity marketing. 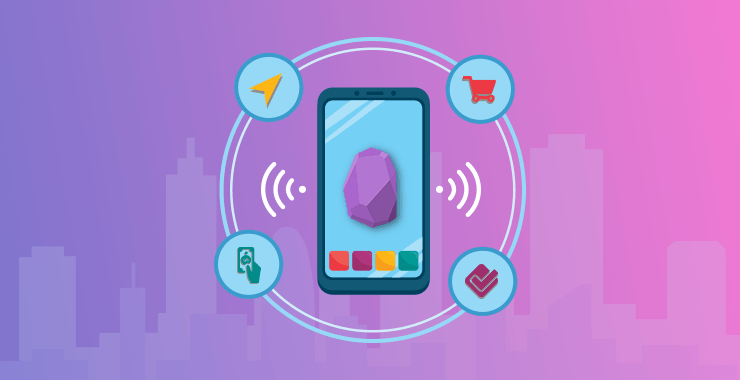 Beacons communicate with your customers’ smartphones over a mobile app to deliver personalized offer by relying on the data from the app and their position relative to the nearest beacon. 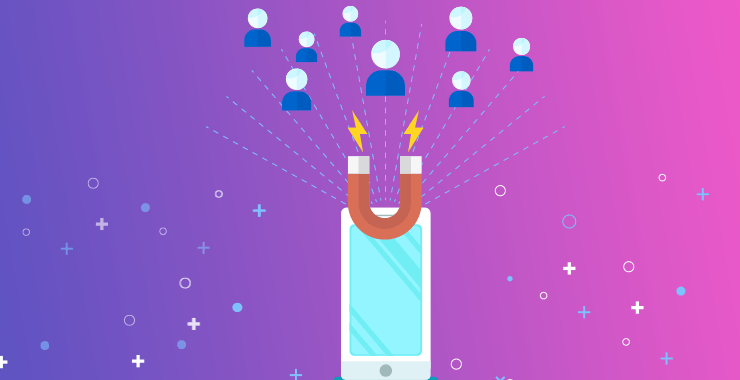 Your mobile app tied to the beacon network in your retail outlet or restaurant can do wonders to your customer acquisition and retention strategy. Apparently, the app keeps you connected to your customers even after they have left the premises. If they have the app installed, you can send them push notifications with personalized offers and pique their interest to visit your store sooner, improving your store’s retention rate. Customer-centric mobile applications employ something called retention algorithms. These algorithms kick in when the person hasn’t interacted with the app in a while. They usually trigger a bunch of push notifications to tempt the customer to open the app. For small businesses, the ultimate motto behind developing an app is to bring as many app users to the store as possible and customers opening their app but not visiting the store are not much of a value to them. The ultimate moto is only achieved when the push notifications are convincing enough to bring the customer to store. Convincing a customer needs just the right offer at the right time. That’s not the problem when you have data about your customers’ past purchases. All you have to find is the pattern. Once a pattern emerges, it easy to predict what that person is in the need most. If he buys a jar of coffee bean and dog food every month, I don’t see a reason why he won’t visit the store if thrown with an irresistible offer. Once you have retained the customers and he is visiting the store, you don’t want him to leave after he buys a stack of dog food and coffee jars. Beacons can detect his location in the store and this is the best time to trigger your proximity marketing campaign on his mobile over your app. Again, thanks to beacons and your app installed on his phone, you have his previous shopping data, including his shopping path. Track down that path and deduce where he makes maximum stops at. Is it the kids’ department? Why don’t you hit him with a kids’ bundle with all the essential infant items, of course, at discounted rate just when he passing by that aisle. According to Proximity.Directory, operating profits of small- and medium-sized retailers can grow by 8% and reach an ROI of 365% if they invest in beacon technology and mobile application development. If you integrate your application with a payment gateway to enable digital payments, a beacon connected to your POS system and sitting at the billing counter can make payments a breeze to make. If the app accepts payment over Google Pay and Apple Pay, making payment is as simple as authenticating your fingerprints. So if you were worried about elongated queues that are scaring your impatient customers away, then beacon based payment systems is your chance to cut those lines short. Not to mention, the supermarket next to my home saw four cashiers quitting their job in the wake of two months. 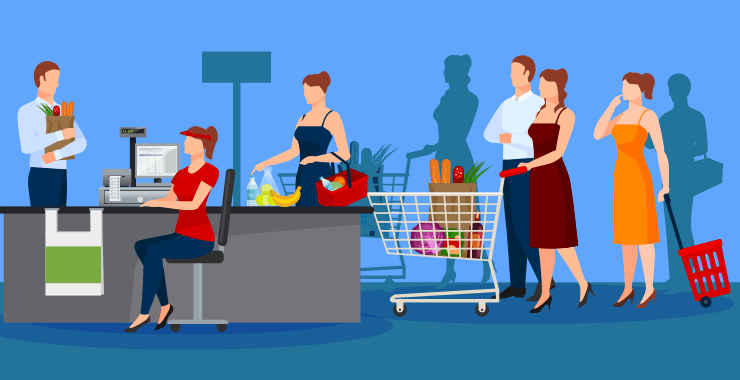 If your intention is to improve customer retention and acquisition rate at your store and make the life of your hard-to-retain cashier a little easier, you need an app without a doubt. However, if you’re looking to go head-to-head with a well funded startup operating in your area, your investment into mobile development is going to get in a hole. And did I mention? 75% of U.S. retailers have already added beacons to their marketing mix. From Walmart to Walgreens and Apple Retail to Home Depot, beacons in retail are making the short list of hot tech tools for the modern retailer.